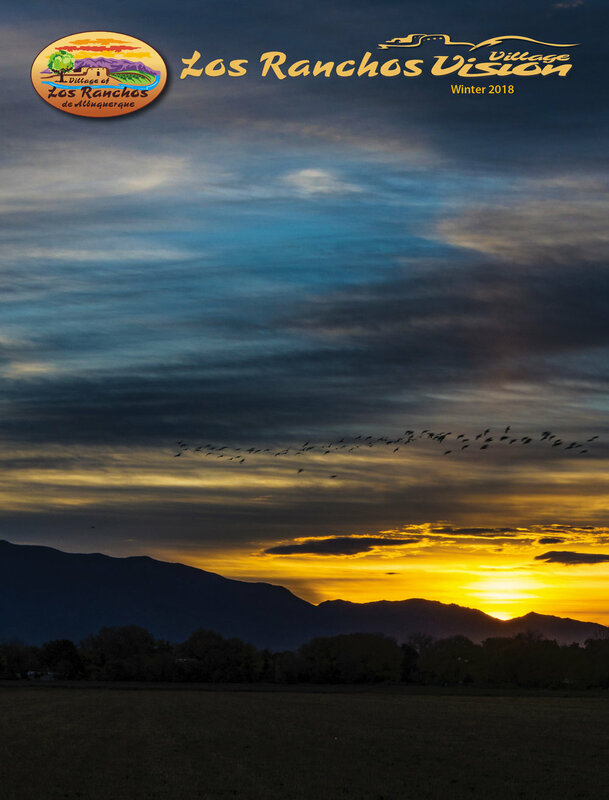 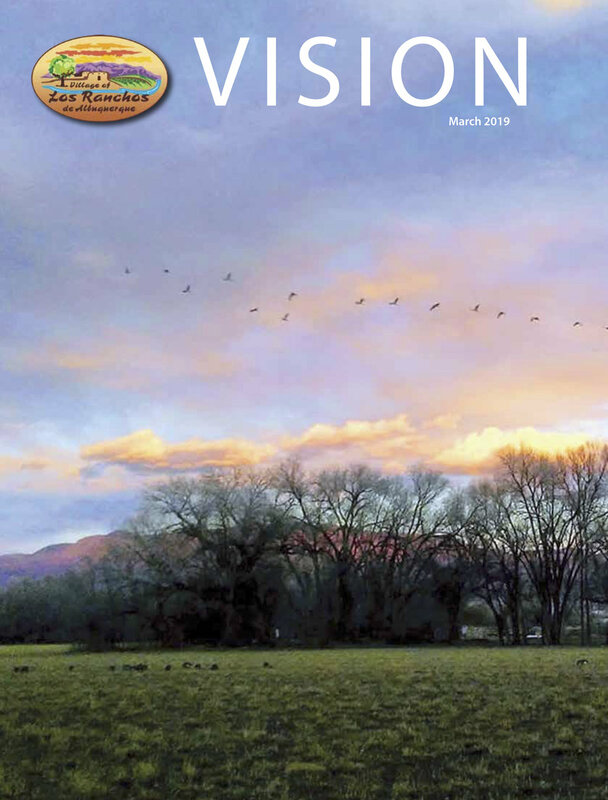 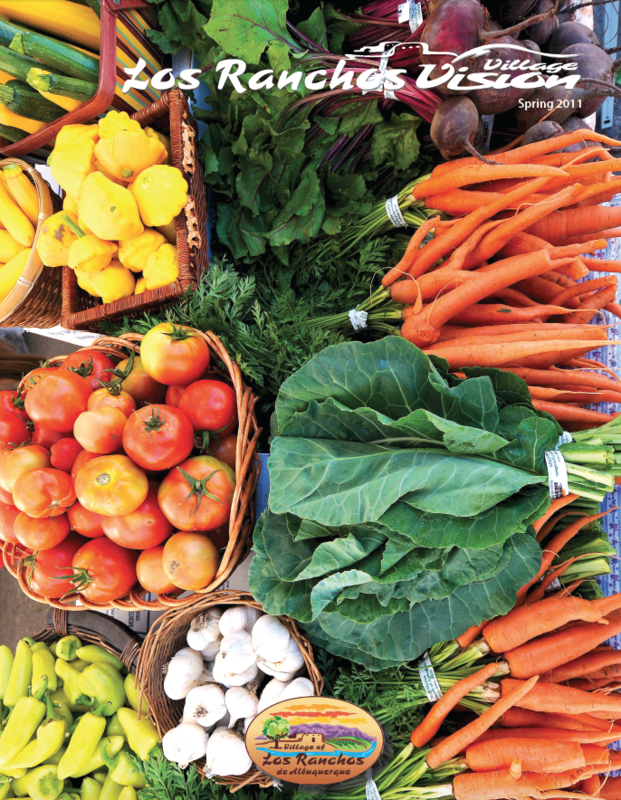 For your enjoyment, click here to view the most current digital version of the Los Ranchos Vision Magazine in its entirety. 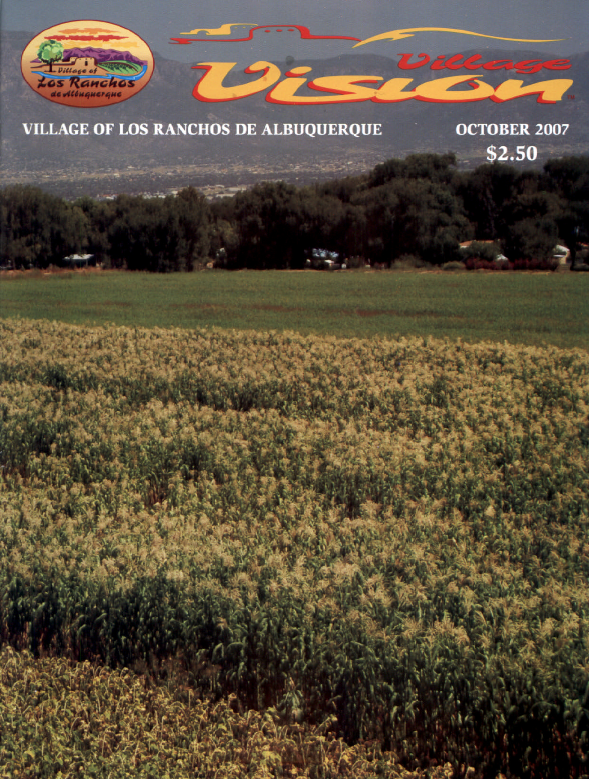 It is written about the Village, by Villagers, for Villagers. 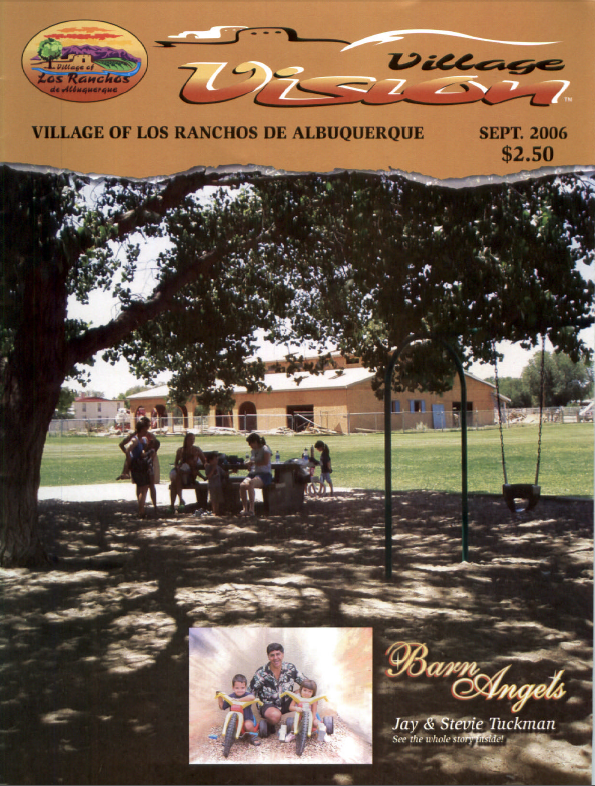 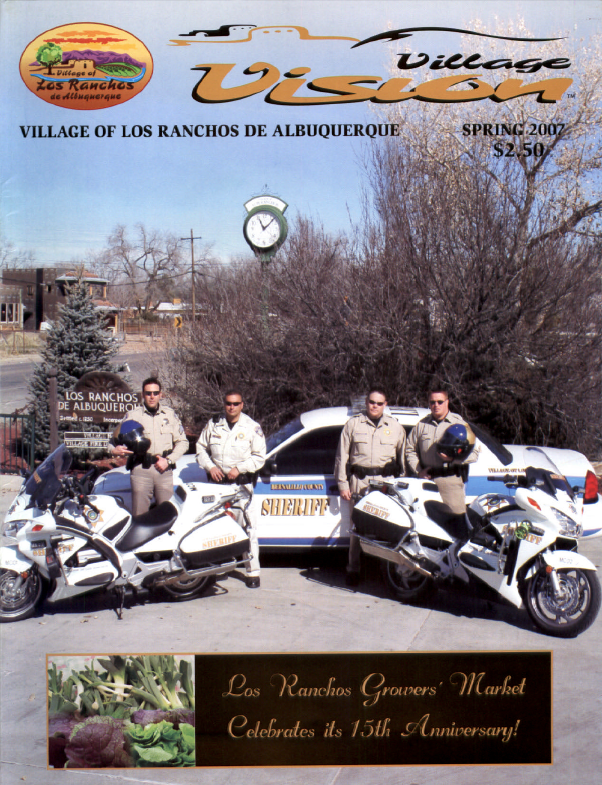 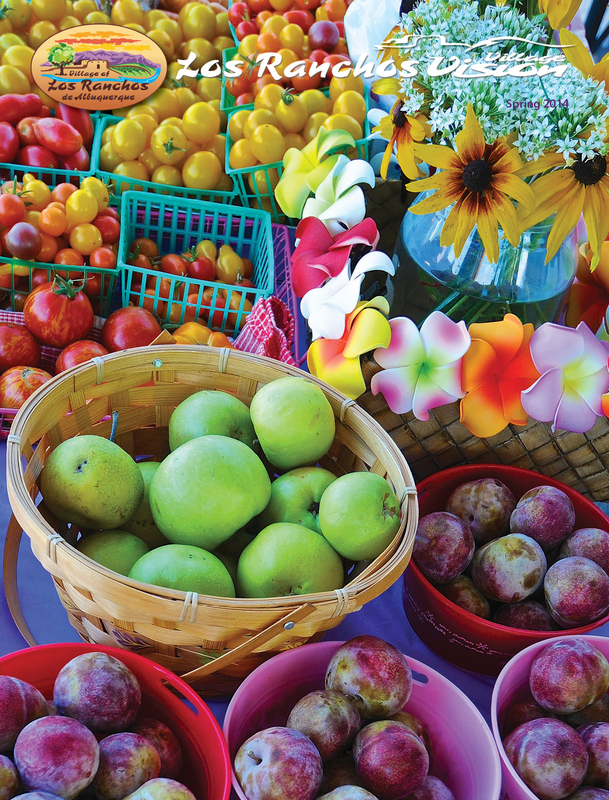 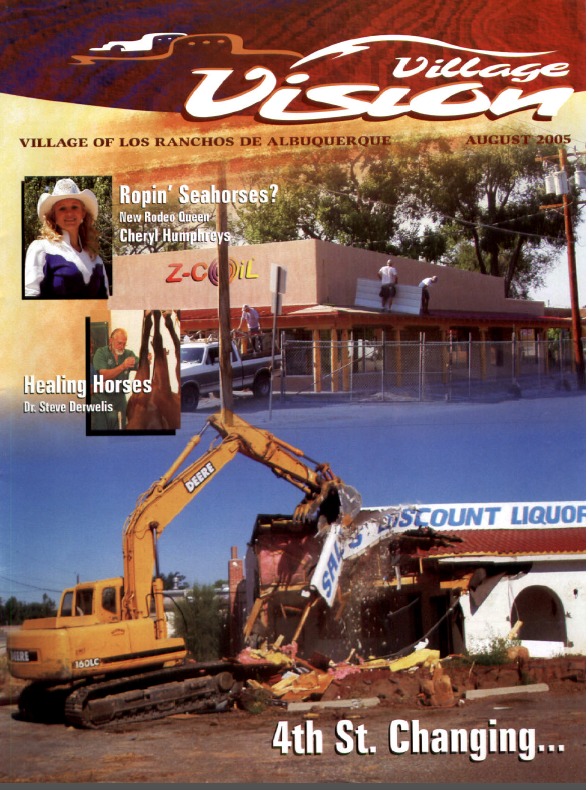 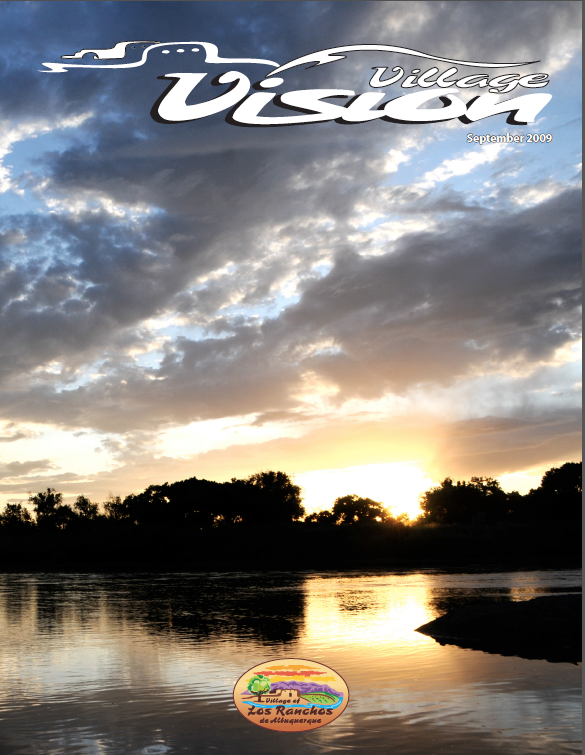 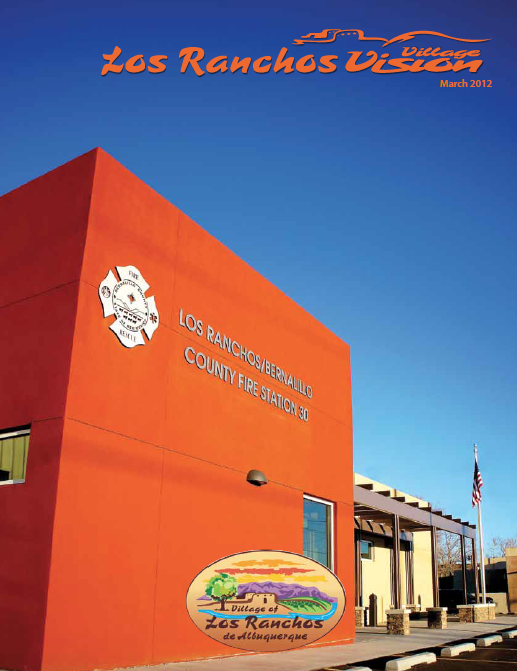 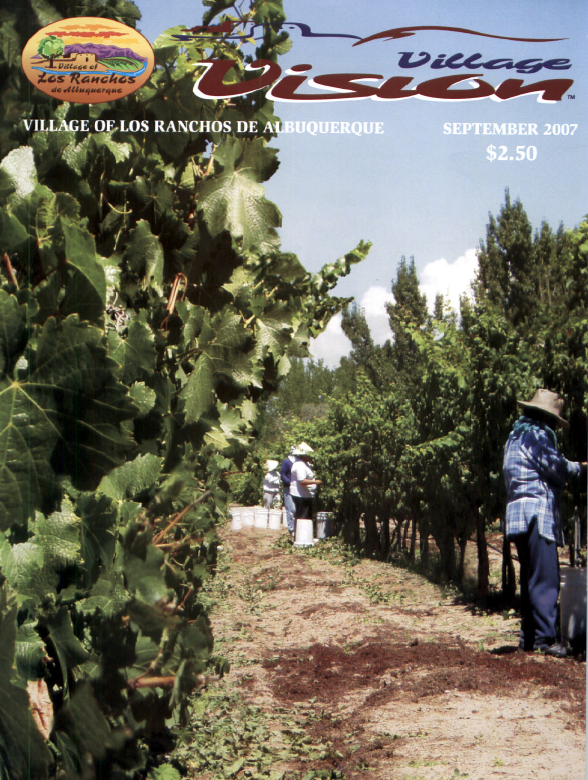 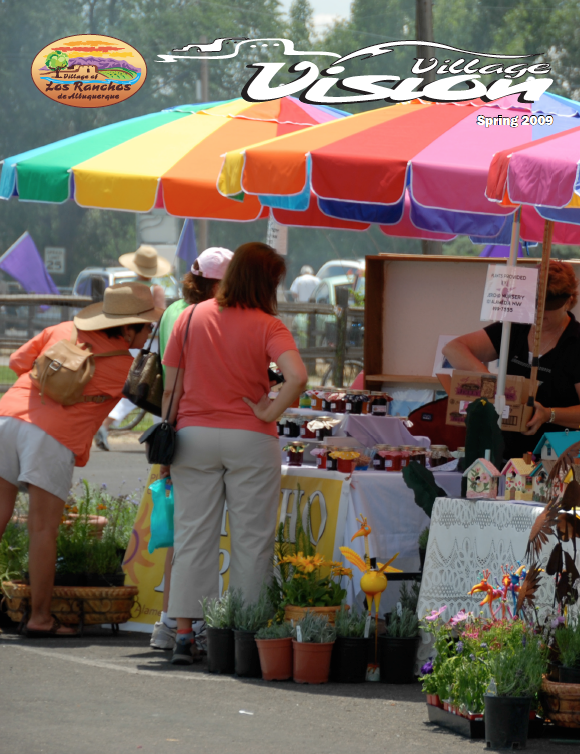 The Los Ranchos Vision Magazine has grown since it began in 2004. 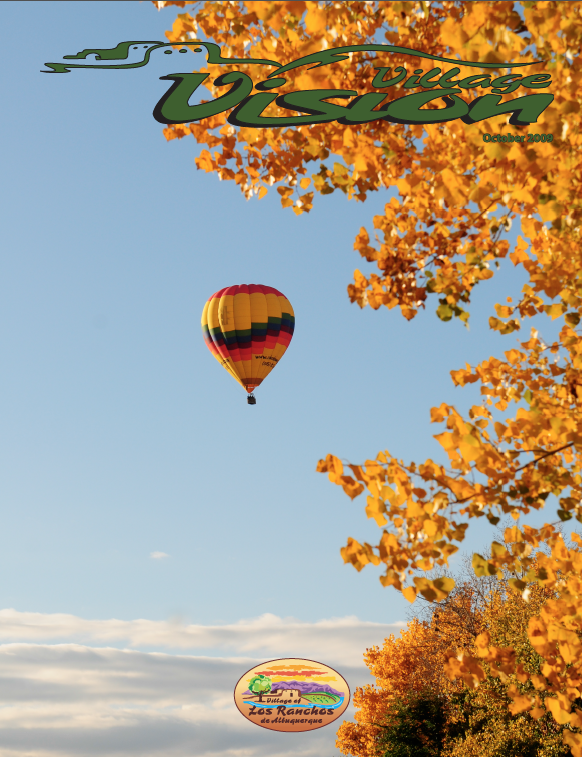 Eight issues per calendar year are released, with each issue between 48 and 56 full color pages, and printed on 70# gloss paper. 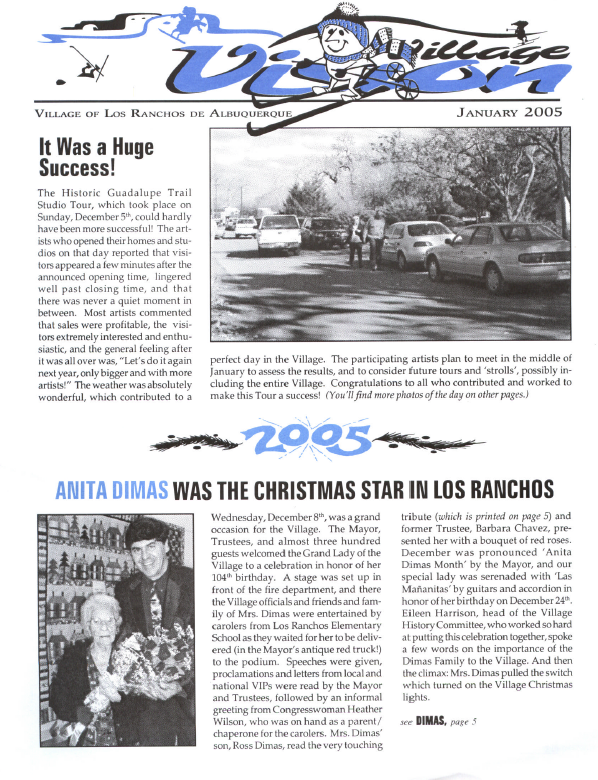 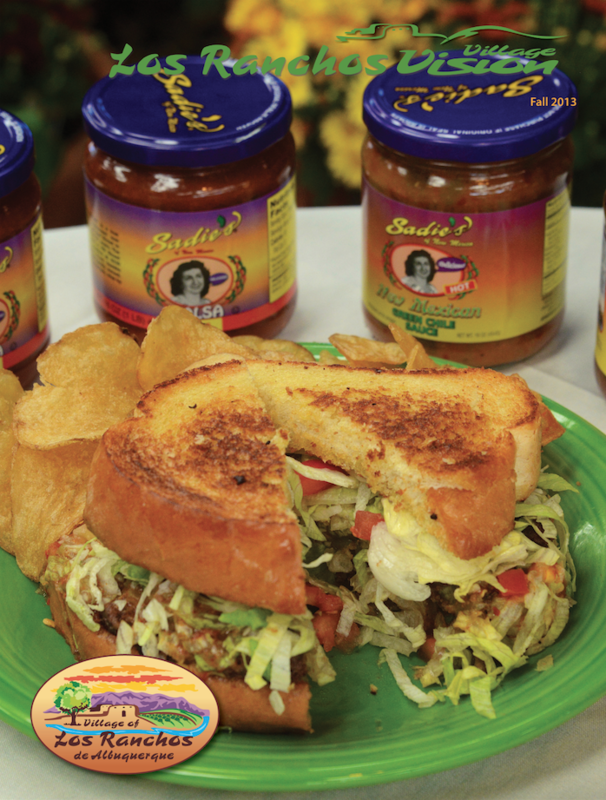 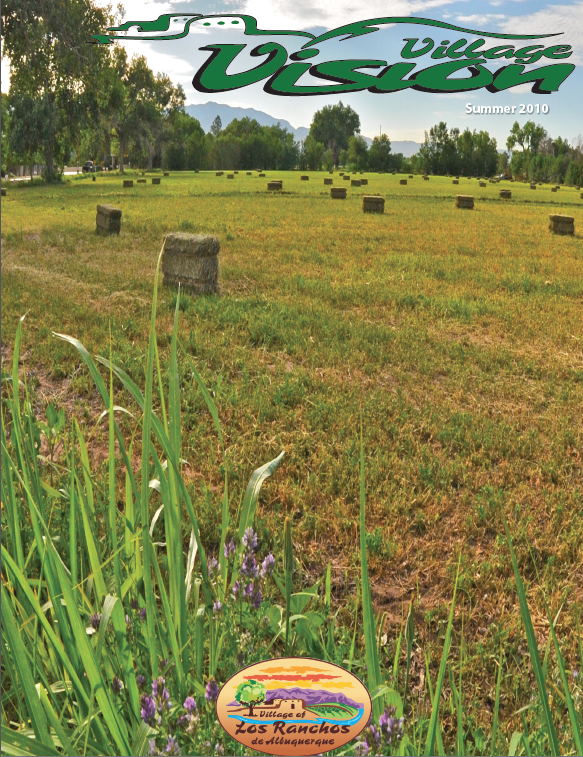 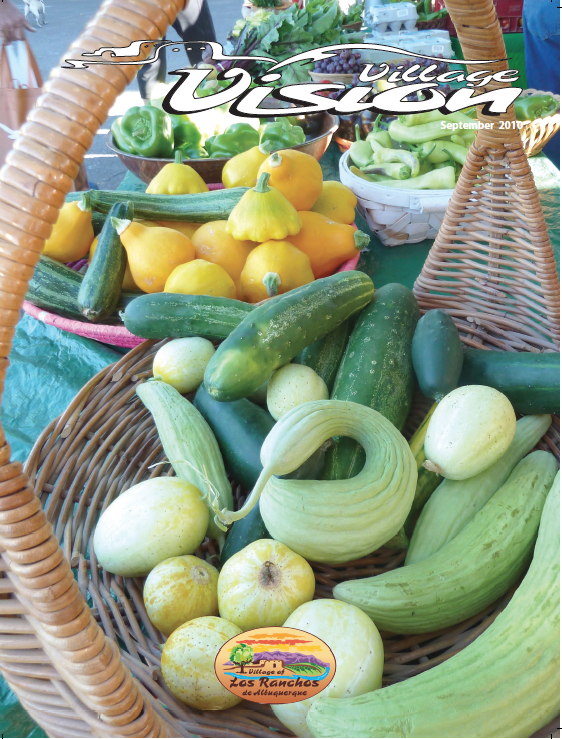 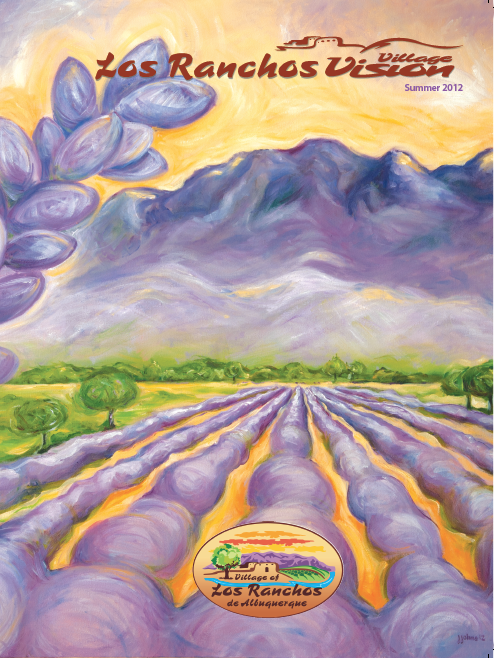 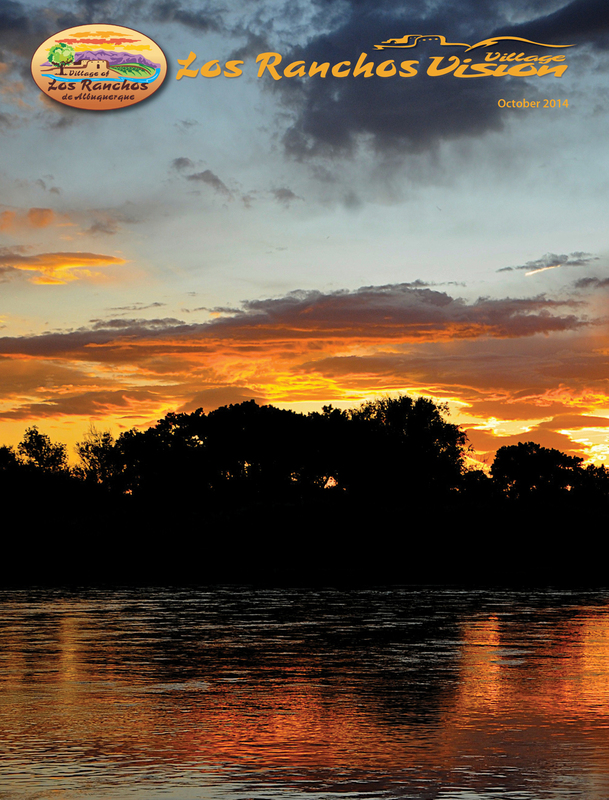 The magazine is mailed free to every household and every business in Los Ranchos. 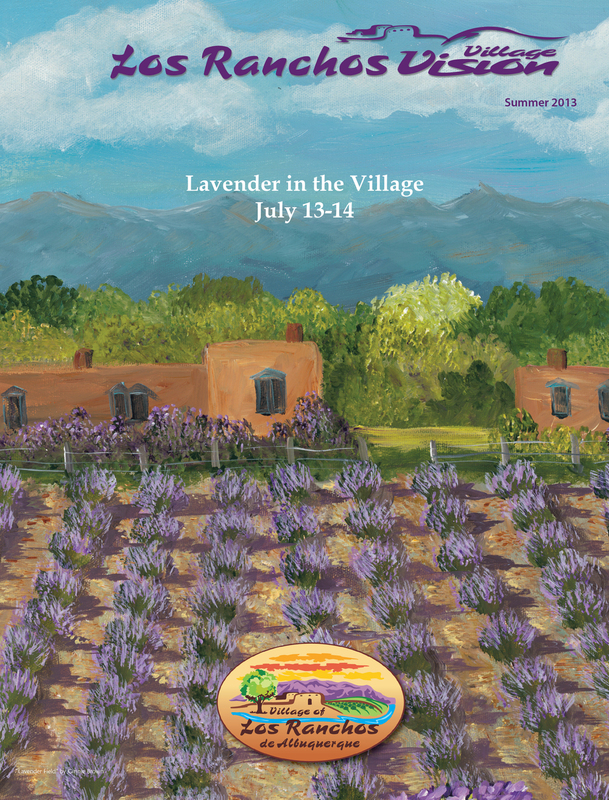 There are, in addition, a number of paid subscriptions outside the Village, and complimentary copies are distributed at Village events. 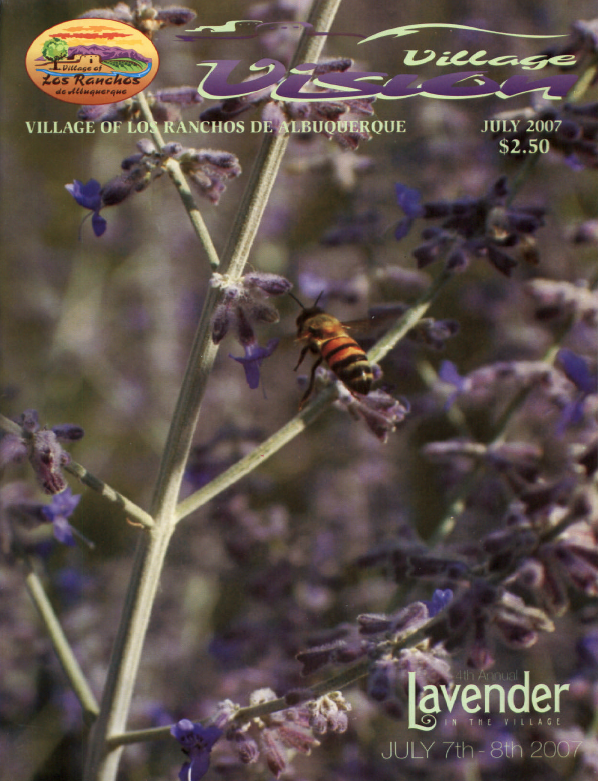 If you would like to pick-up one free copy of the current publication, you may pick it up at Village Hall. 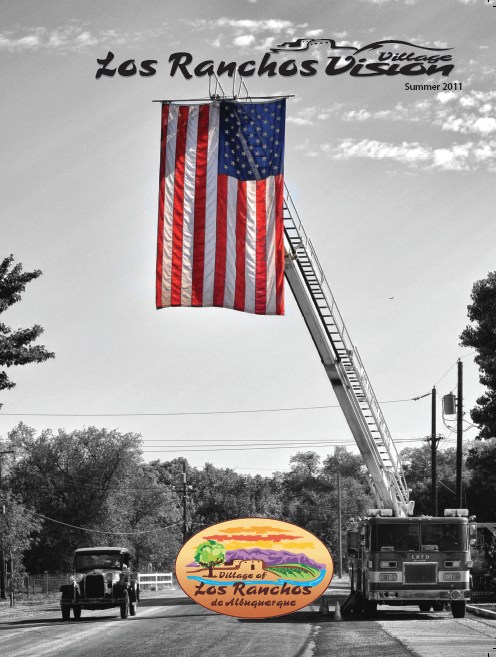 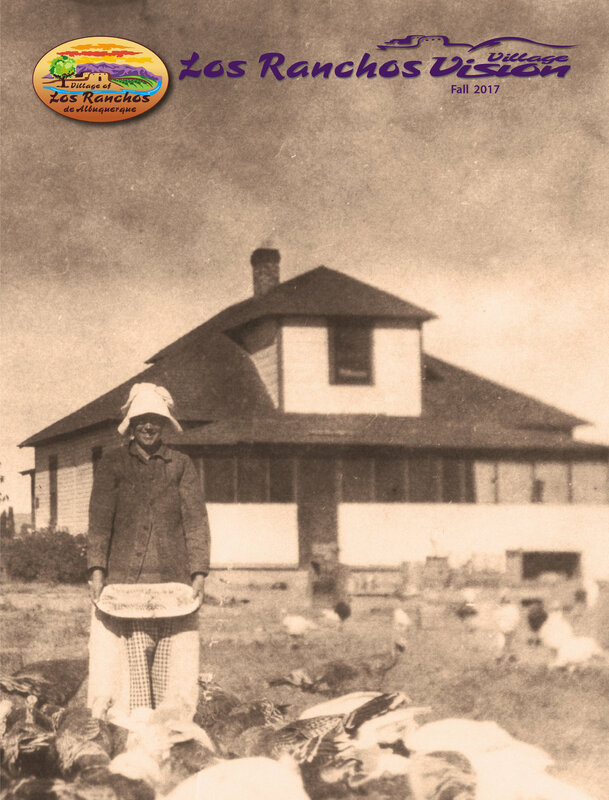 If you would like more than one copy, it can be purchased at Village Hall for $2.00 per copy. 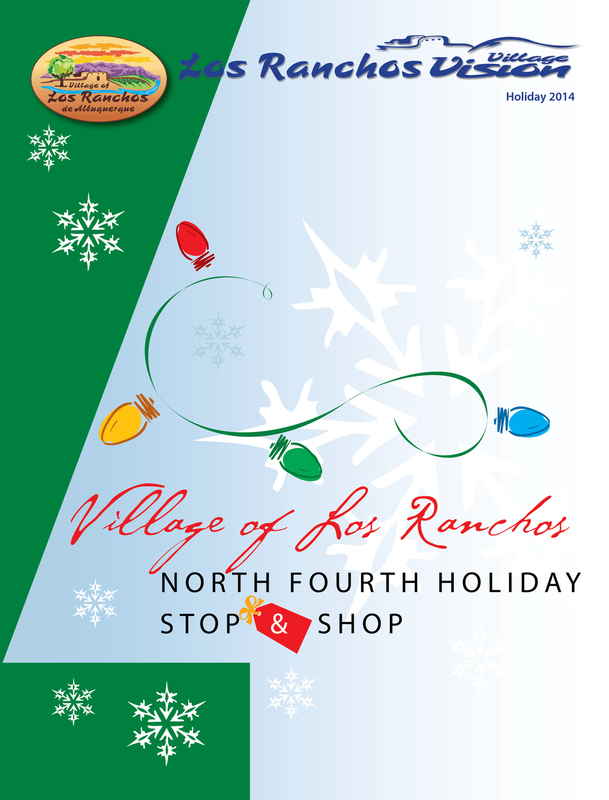 Non-Village residents and other interested parties may subscribe for $20.00 (includes S/H) per annum. 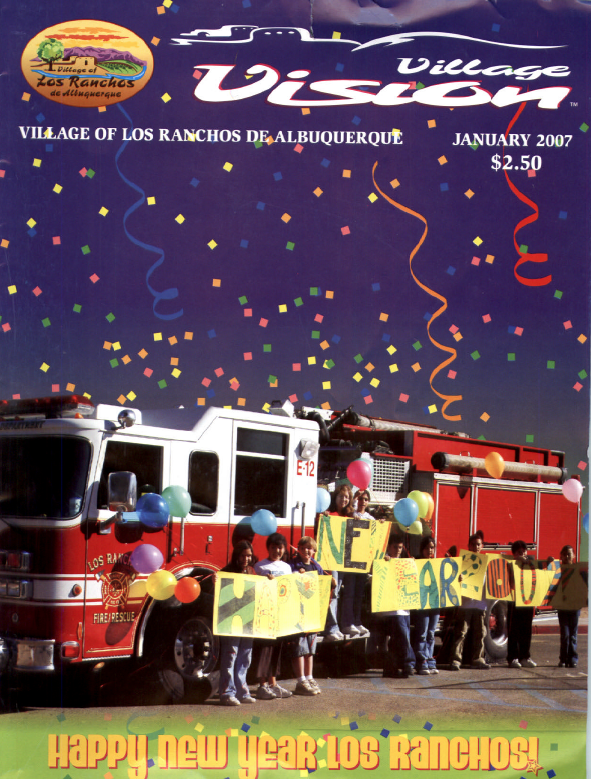 Alternatively, you may download/print the entire magazine or a specific page of the magazine by clicking the link at the top of this page. 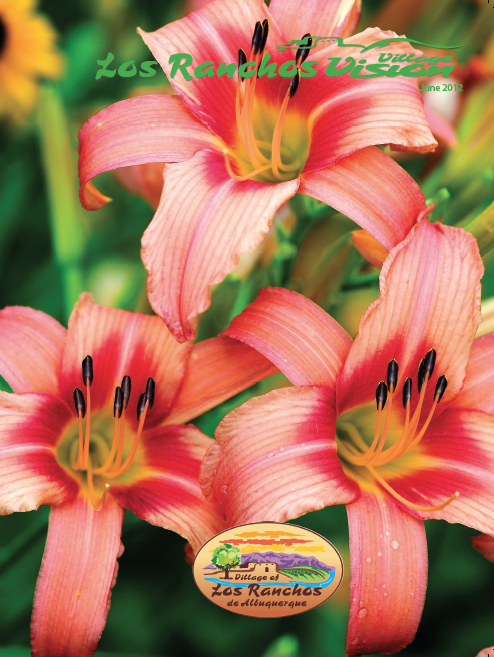 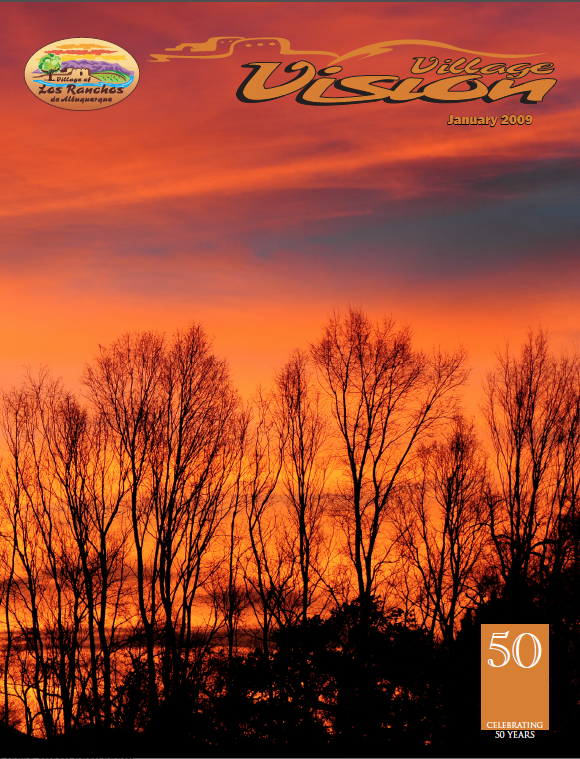 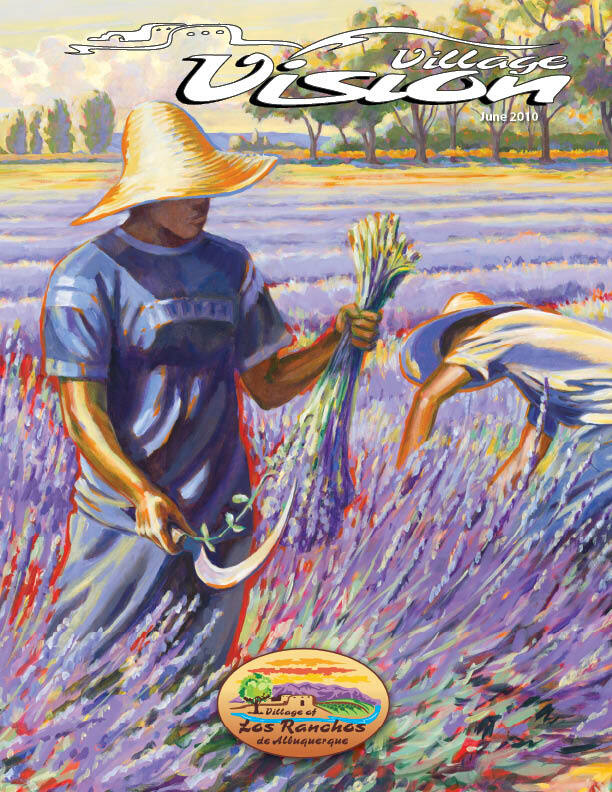 Eight issues per calendar year are released: Winter Issue (January/February); March Issue; Spring Issue (April/May); June Issue, Summer Lavender Issue (July/August); September Issue; Fall Issue (October); and the Holiday Issue (November/December). 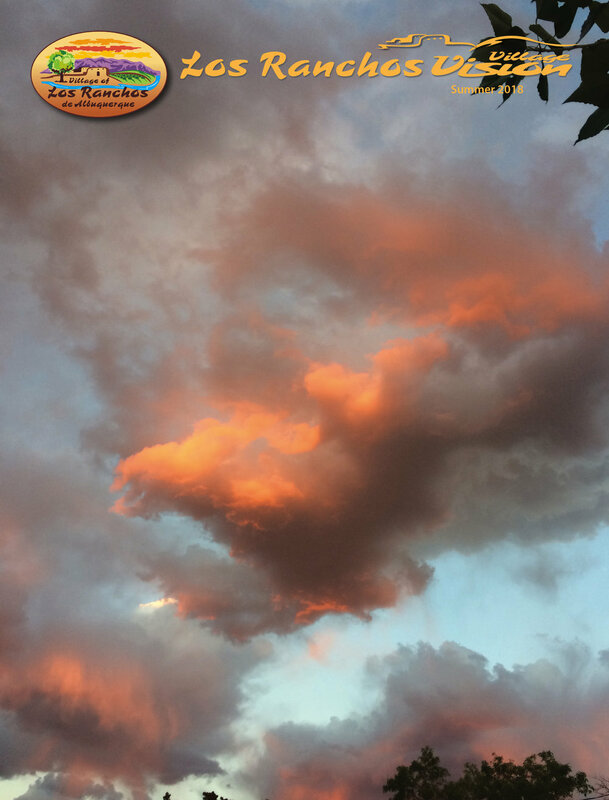 For a current rate sheet and other information on how to submit an advertisement, click here. 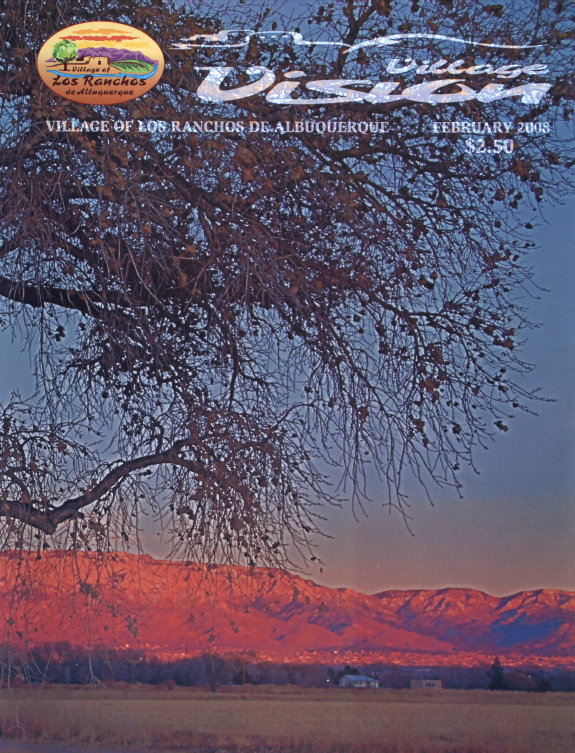 For a list of the 2019 deadlines for article and advertising submissions, click here, check this website's online calendar, or see the calendar on the inside of the magazine. 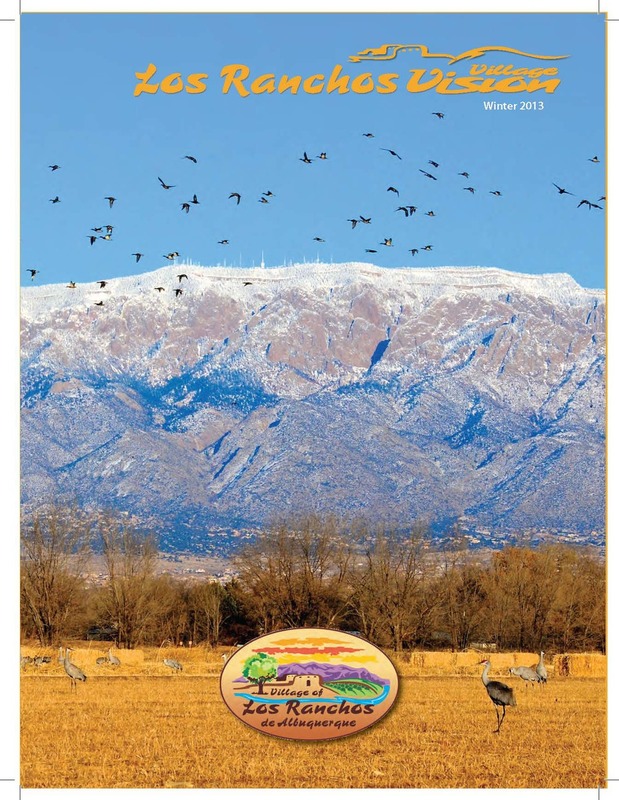 To submit an article for consideration, please email Cynthia Jaramillo at cjaramillo@losranchosnm.gov. 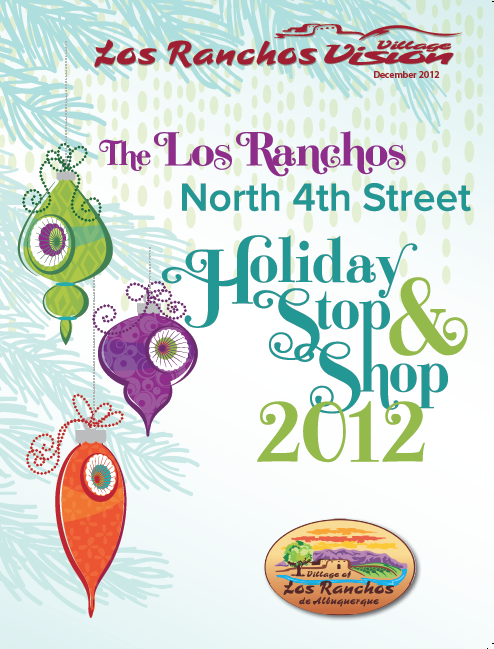 If you have any additional questions, please contact us. 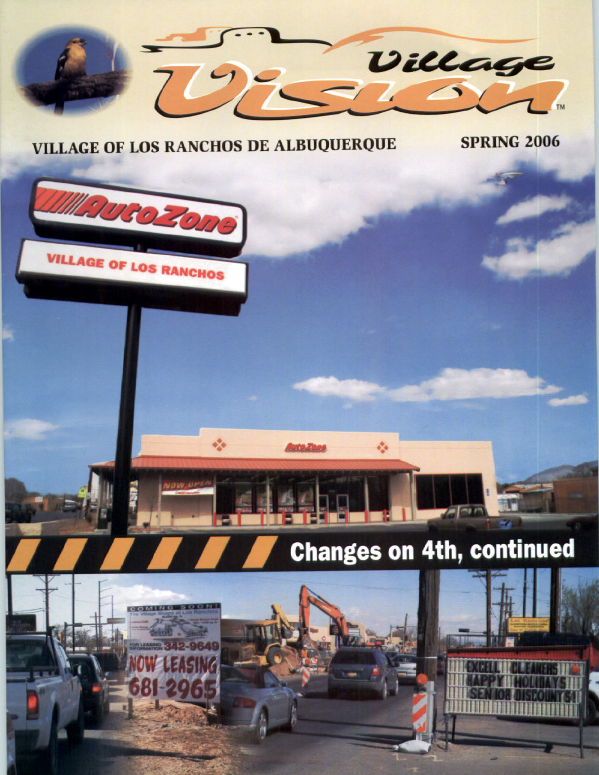 Due to the file size, please allow up to 2 minutes for the files to load.